Carl, has the passenger generation been fixed? I think it was fine anyway - as I said, I ran the game for a full month and passenger numbers were at the expected level. Further updates in Wiltshire and Somerset today, including some new GWR liveries for DMUs. I said before that I was hoping to add in all the new timetables after May. But as you may have heard, the timetable change hasn't been going so well. I will need to wait until the various emergency timetables stop before I know what to exactly to implement in this simulation! The savegame and pak folder can be downloaded here. As ever, the legacy Simutrans Experimental exe is required. This screenshot shows Frome (left), Warminster (bottom), and Westbury (right). At Westbury, the line from Bristol to Salisbury intersects with the line from London to Taunton and Exeter. Westbury and Frome also have avoiding lines which fast trains use - most GWR express trains don't stop at these stations. Dilton Marsh station, south of Westbury, causes unique problems on this map. It's only served by occasional ad hoc services and not by any 'clockface' trains. To get around this, and to make sure the station gets some kind of service, I have a couple of the GWR services that terminate at Westbury go slightly further and reverse at Dilton Marsh. Since lots of these trains run south of the station to reverse anyway in real life, this isn't too much of a stretch. This screenshot shows a GWR Class 166 Turbo in service between Westbury and Gloucester. These trains have recently moved west - they used to be used for London area suburban services but have now been displaced by electrification. - Trains: GWR liveries for Class 150 and 158 trains have been added. Class 166 trains are now in service on some routes in the South West to reflect changes in real life - more to come later. I have a large update to share today! Most of the work has been in rebuilding the Bristol area. This is the first core city that I've got to in my 'second pass' of this map - it was a lot of work to build but I'm happy with how it turned out. There are also quite a lot of significant towns without rail connections in this corner of the world, so this part of the map is now much denser than it was before. 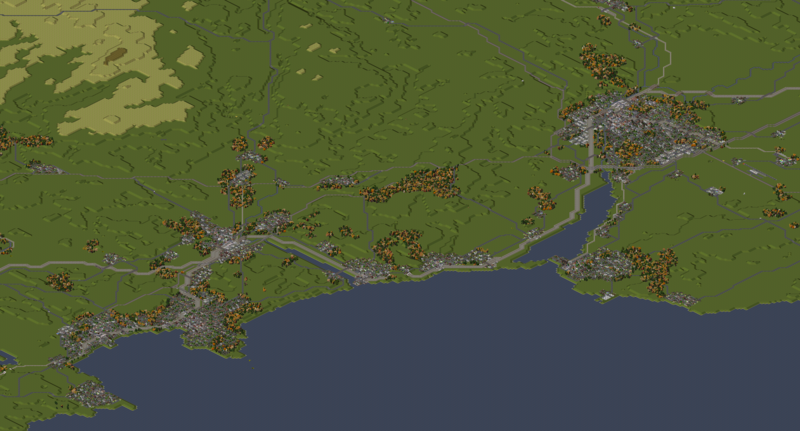 Weymouth and Yeovil were also rebuilt since the last update. The first screenshot shows the wider Bristol area, including South Gloucestershire, Bath, and parts of North Somerset and North East Somerset. If you squint (or click here for the full-size version) you might be able to spot the Port of Bristol, the airport, the M4 and M5, Cribbs Causeway, and the disused Filton Aerodrome. 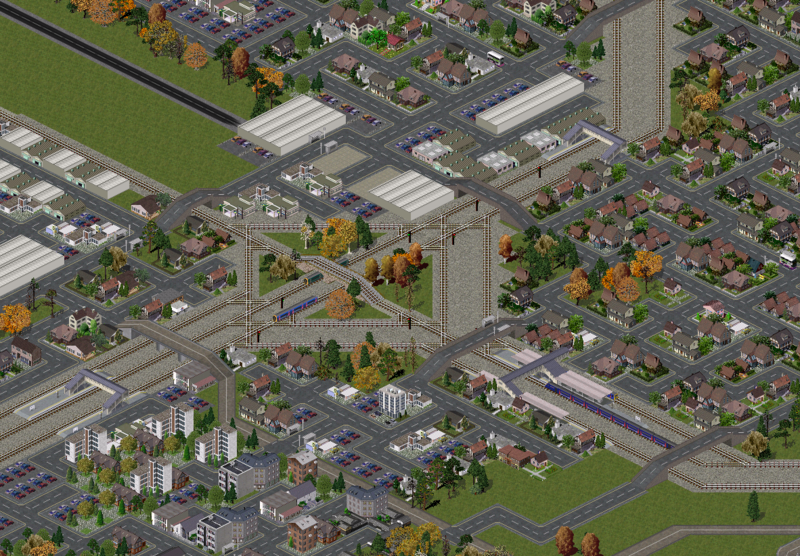 The second screenshot shows Bristol Parkway and Filton Junction, where the line from London to South Wales divides and heads south into Bristol. Two services from Cardiff to Portsmouth are passing in the north/south direction. I'll be gradually heading south west towards Devon & Cornwall. I'm still keeping an eye on the Thameslink situation... I don't really want to make large timetable changes if they are all going to change again soon anyway. The new interim timetable that launches tomorrow might make it worthwhile to finally add Thameslink changes to the map. Where did you get the elevated way and gap-filling track addons? Are they from the Japanese site or did you draw them yourself? I am planning to draw elevated ways and better tracks/roads for my own addon (https://forum.simutrans.com/index.php?topic=17316.0) and have been trying to find images to use as an alignment template. The elevated rail and road are adapted from other people's addons (although the rail one is, I think, far enough removed to be considered my own work). Let me know if you need any of the related files. If you have worked on the elevated track addon, could you please send me the source files if possible? I promise not to distribute your work with my pack and will only use the image as a template to "trace" over. Here are the pngs and dats for the elevated rail. Feel free to put these to any non-commercial use that you want. Carl, I would like to know why is it that towns/cities cant be spawned on pak.ngb when using heightmaps on Simutrans Extended? I'm afraid I'm not sure what you mean. I haven't used Extended at all so can't comment on any interactions there. It could be something in the config files? City growth is set to effectively zero. I mean that like when you load the pakset (in Extended), you load a map (heightmap) a flat one and spawn the map and then the town/cities don't spawn. Ok, I think I understand. Pak.ngb isn't a maintained pakset (but rather just the means to run a particular map), so I can't really bugfix its interaction with Extended - also, it hasn't been used with Extended at all so there are bound to be some errors. You could ask someone who knows about Extended what the cause might be, though again they may be reluctant to bugfix an interaction with a pakset not designed for Extended. P.S. also how are you and when is the next update due? It's a possibility, but I confess that I always found the livery system more fiddly than just creating multiple vehicles. It would have the advantage of not cluttering up the depot window. Nothing to report at the moment - I've been spending my free time on other things. Will we get any updates like: Central Scotland Electrification? Class 385s? I've returned to this map recently so there will be a large update soon - focusing on the Thameslink Programme and the avalanche of changes required as a result of that (i.e. every schedule changed for Southern, GN, SE, etc... plus Class 700s). Watch this space! Updates like Class 385s and electrification in Scotland will likely wait until I reach Scotland in my broader 'regeneration' approach. Currently I'm on Somerset. Thameslink update: now that the IRL chaos has subsided around the introduction of new Thameslink routes, it felt safe to take on the mammoth task of adding them in-game. This involved adding the new TL routes from Sussex to Peterborough and Cambridge, as well as switching everything over to the new Class 700 trains. It also involved changing the schedule of all Southern, Southeastern and Great Northern trains - it took a good long time to get everything working smoothly again and you may still find some errors. While doing this I also refined some key junctions around London e.g. Lewisham, Finsbury Park, Clapham Junction. More progress into the South West: my project of rebuilding existing towns, adding towns not connected to the railway, and building major bus routes has continued. Somerset and Dorset are now fully updated with a good few substantial towns added to the network with buses, including Minehead, Chard, and Bridport. Train graphic updates: as well as the newly-added Class 700 and Class 387 (Great Northern), a few other sprites have received updates. I'll add these to the British Trains addon download soon. Savegame and pak folder can be downloaded at this link. As ever you will need a legacy Experimental exe to run this map. - Rail network: OHLE removed from most of the south London areas where third rail is used. This tidying up should be mostly finished now. - Train graphics: Class 700 added; Class 387 (GN) added, Class 376 graphics overhauled, minor updates to Class 455 (SWR) and Class 375 (SE). It seams that only the 8 car version of the Class 700s are available. When will the 12 car versions be added? I doubt that there's enough room for the platform extensions needed for 12-car trains. Also, great to see this back again! Yep, NoMorePacers is correct. It's not possible to have 6-tile platforms at City Thameslink, Farringdon, etc - meaning that I can't use 12-car Class 700s. 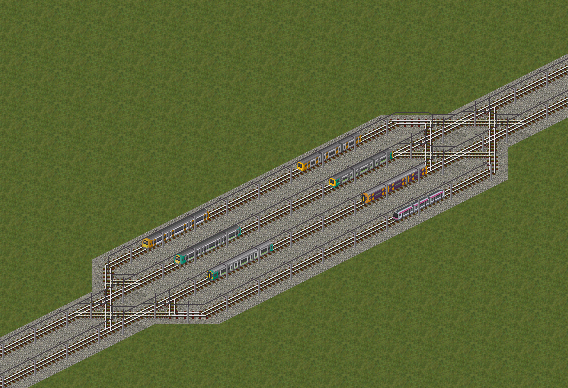 I had to rebuild part of the Sutton loop to even fit 8-car trains there! 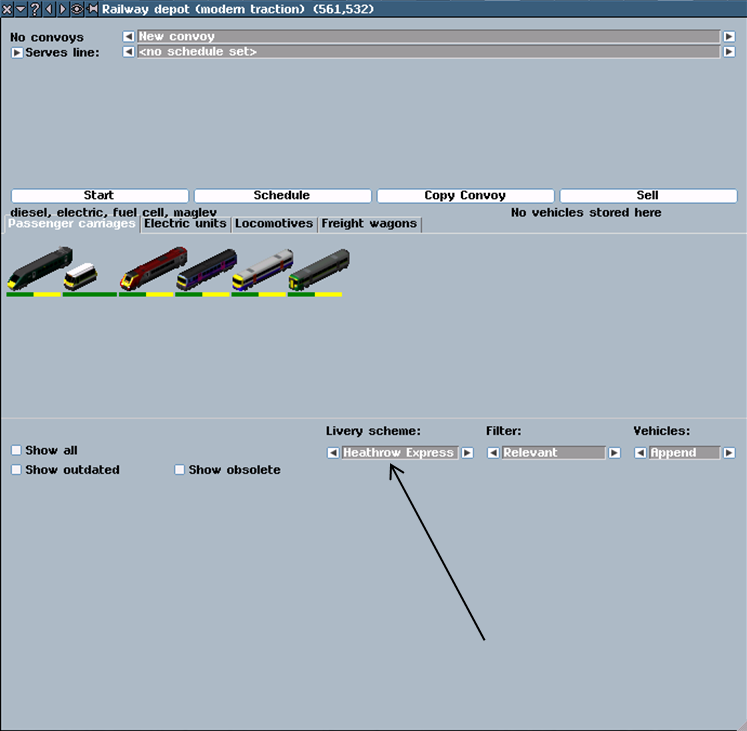 It will be quite easy to adjust the .dat file to make a 12-car train, though, when I upload that. Class 700 looks absolutely fantastic Carl! Will these be available as .pak files for standard at any point in the future, like the original British trains addons? They will! I'll put together the full set for download soon. Hopefully good enough to turn into a 707 and/or a 717? 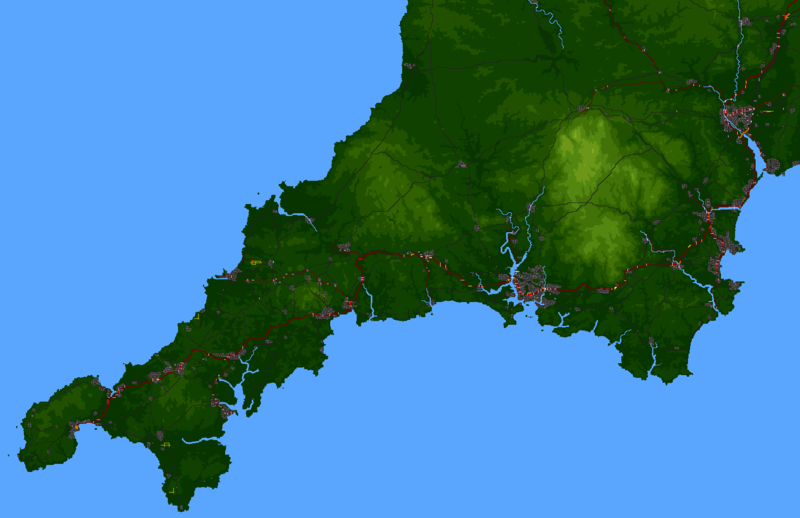 Another big update today: I've updated the whole of Devon and made a start on Cornwall. This includes adding new places like Ilfracombe, Tavistock and Sidmouth which have only bus connections. The GWR Class 143 has udpated graphics, and the SWR class 707 has been added to the map. I haven't yet added Class 802s to GWR Main Line services - I'll save those changes for the upcoming GWR timetable recast. Devon: the main line snakes along the coast from Exeter (top right), branching off near Torbay (bottom left) to travel through Newton Abbot and on to Plymouth. You can also see Exmouth on the right bank of the Exe estuary. Plymouth: a rebuilt city, showing a GWR service to Penzance heading westbound and a Crosscountry train waiting in the platform between services. Isn't the 802 just an 800 with an uprated engine? Yes - preparing the pak files wouldn't be any work. But I'd rather not spend time replacing lots of the convoys now, only to have to do the same again when the timetable changes shortly. 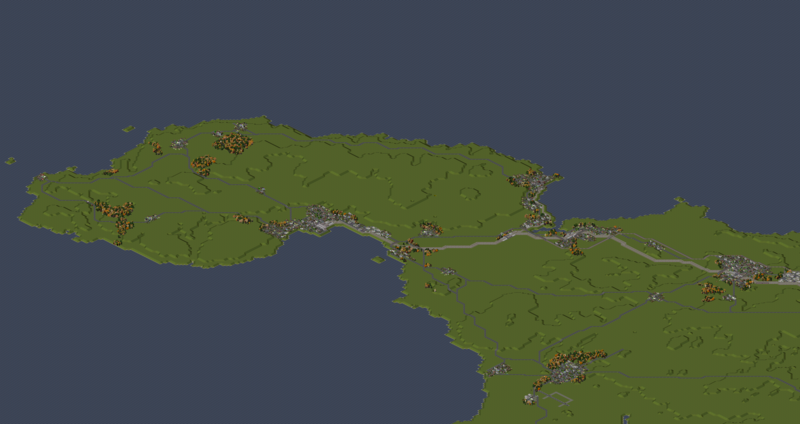 Cornwall has now been fully updated, meaning the South West region is finished. A good opportunity to upload an update, even though it hasn't been long since the last one. As mentioned before I'll be updating the GWR fleet in this area once the new timetable is in place. The savegame and pak folder can be downloaded at this link. As ever you will need a legacy Experimental exe to run this map. What's next? The West Midlands. I have a few more videos planned, but I'd rather only include areas where the cities have been rebuilt (since they look so much better than the older versions). This means I can only cover certain areas - and getting Birmingham rebuilt will open the way for several videos. It'll be the biggest city I've revisited so far. Screenshots followed by a full changelog. Full size versions are here. West Cornwall, showing Penzance, Land's End & St Ives. This is the bottom-left extreme of the map. 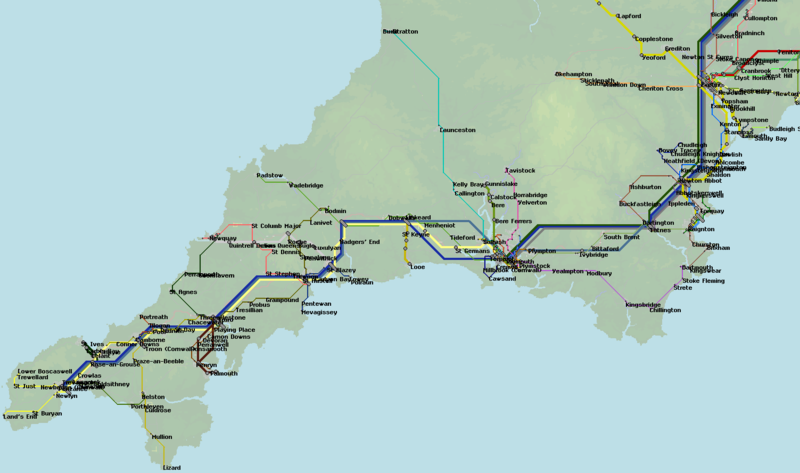 Route network of buses and trains in Cornwall & South Devon. (I don't build every bus routes in existence - that would be crazy. 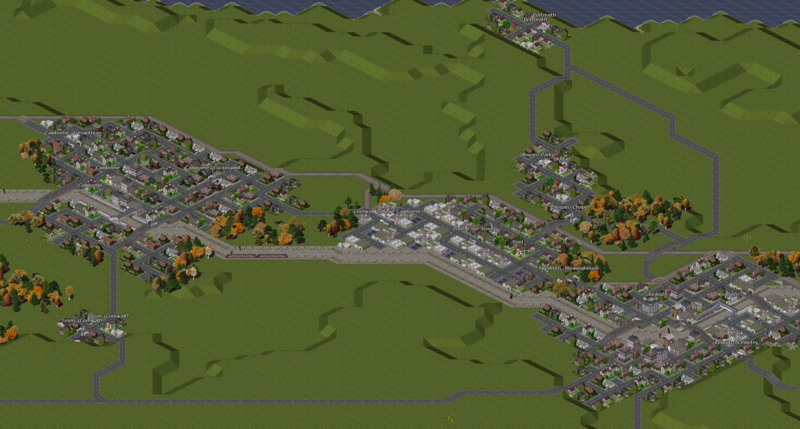 As a rule of thumb, I build bus routes that run at least hourly in real life, unless they duplicate a rail route. I will build bus routes that run less often if they link a substantial town (~5,000 people) that wouldn't otherwise be linked to the network. The website bustimes is an invaluable resource for this. Towns and cities: rebuilt or added all towns & substantial villages in Cornwall. Significant places rebuilt include St Austell, Bodmin, Newquay, Truro, Falmouth, Camborne, Redruth, & Penzance. Significant places added include Helston. Also rebuilt Evesham (Worcestershire). Ah yes, the Barnstaple - Torrington bus route. I use that route to go from Bideford to Exeter. 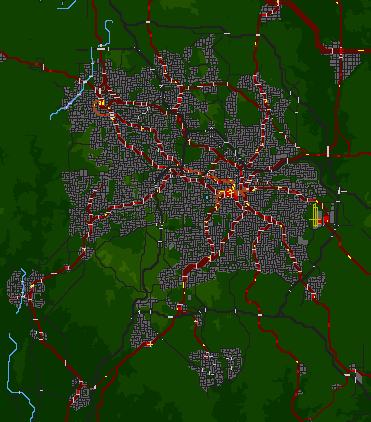 After some serious clicking, I've finished updating Birmingham and the surrounding West Midlands metropolitan area. 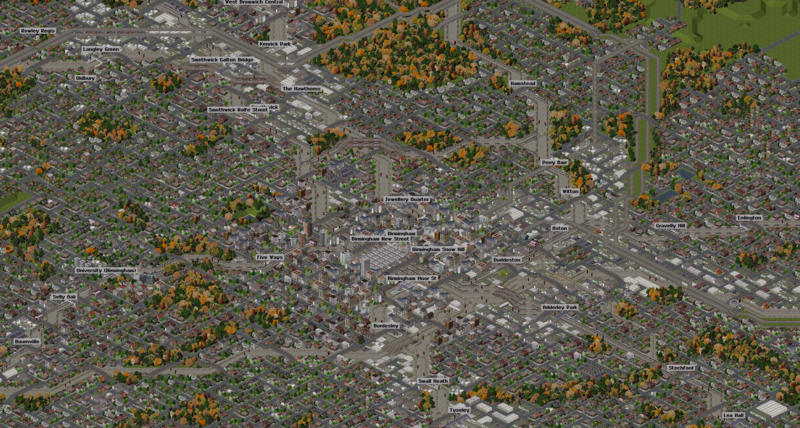 It contains an astonishing 15,000 buildings, and that's not even including satellite towns outside the metro area. Rail lines, train graphics, and timetables in the West Midlands have also been updated, as well as Herefordshire & Worcestershire. Here's the Birmingham area looks at the widest zoom level. For context, Redditch is in the bottom left, Birmingham Airport is near the bottom right, and Wolverhampton is in the top middle. In addition to rail & cities, the motorway network is also present. You can see them in this minimap shot - you can probably also spot how some of the outlying towns haven't been rebuilt yet. 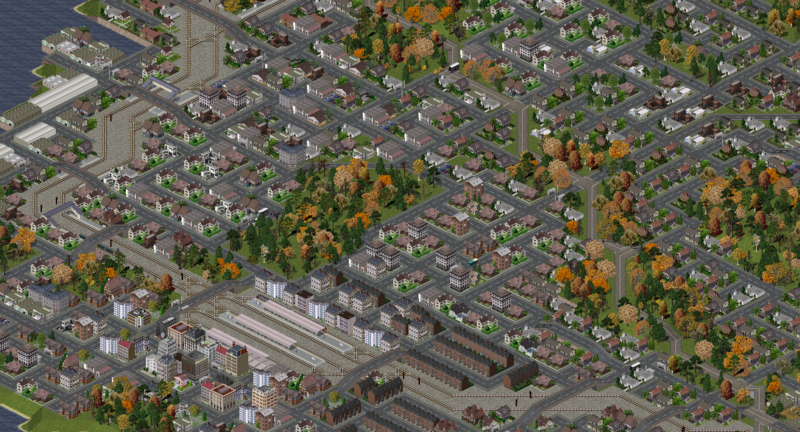 - Added West Midlands metro tram network. It goes underground in central Birmingham and Wolverhampton because of the density. No Birmingham area buses yet. The savegame and pak folder can be downloaded at this link. As ever you will need a legacy Experimental exe to run this map. You never stop working Carl! Would there be any possibility of adding Grand Central routes?